Affordable brand name - continued. Acer successfully got the ball for low-budget brand name tablets rolling. 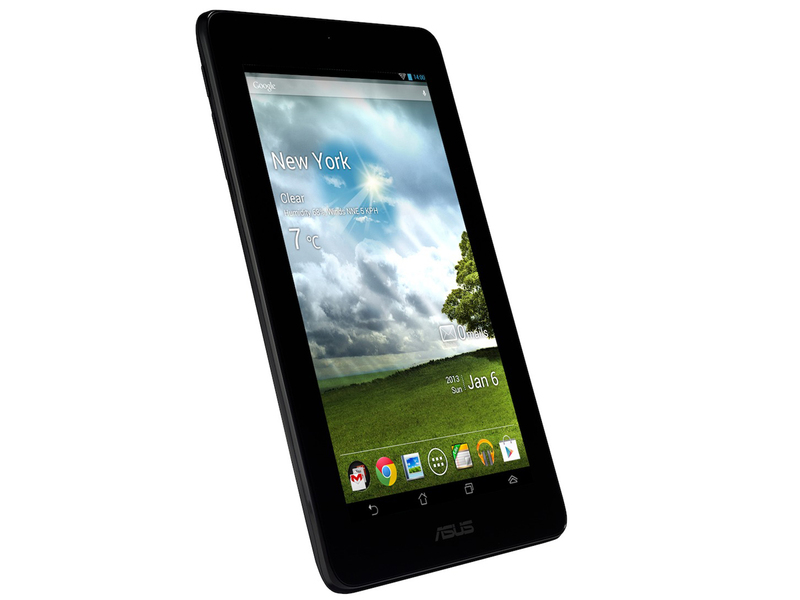 Now Asus takes up the chase with its 150 Euros (~$195) Memo Pad tablet. Can it catch up? The Asus MeMO Pad ME172V isn't going to knock out any of the flagship small-screen tablets out there, but it's also not meant to. At $150 it's one of the most affordable Android options and it's from a reputable tablet maker. If that's still too expensive for you, Coby makes a serviceable 7-inch tablet for $120, the MID7065$119.99 at Amazon, but you'll get a low-quality display and even shorter battery life. The MeMO Pad isn't for gamers or power users, but it offers a solid experience for those interested in less demanding tasks like Web browsing or media consumption. For the Amazon-averse, it's a good inexpensive alternative if you don't want to spend $50 more on the Editors' Choice Nexus 7. If you’re looking for a 7 inch tablet with a decent screen, a zippy processor, and the ability to run most apps, buy the Google Nexus 7. While the Nexus 7 doesn’t have a microSD card slot or a rear-facing camera, it’s faster, easier to look at, and in my opinion feels better in your hands than the Asus MeMO Pad 7. At $149, the ASUS MeMO Pad is $50 less than the Google Nexus 7 and the Amazon Kindle Fire HD, and it gives you expandable memory (something those two pricier slates lack). The audio quality is also pretty good for the price. However, we'd suggest spending a bit more for Nexus 7 or Fire HD because they offer much sharper displays with wider viewing angles, faster performance and longer battery life. ARM Mali-400 MP: OpenGL ES 2.0 graphics card for ARM SoCs that is scaleable from one to four fragment processors and has got one vertex processor. Mainly used in conjunction with ARM A9 cores in tablets and smartphones. These graphics cards are not suited for Windows 3D games. Office and Internet surfing however is possible. » Further information can be found in our Comparison of Mobile Graphics Cards and the corresponding Benchmark List. WM8950: Entry level single core Cortex-A9 SoC» Further information can be found in our Comparison of Mobile Processsors. 67.67%: This rating is bad. Most notebooks are better rated. This is not a recommendation for purchase.